Ventaja Nutraceuticals™ Fish Oil is a rich natural source of gamma-linolenic acid (GLA). Low levels of GLA have been found in adults and children with atopic eczema and atopic dermatitis. 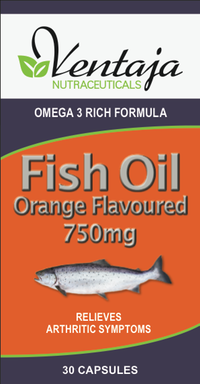 ™ Fish Oil is a source of omega-3 fatty acids, which are beneficial for joint swelling associated with arthritis. Fish oil also helps maintain a healthy heart, joints, brain and eyes. Helps to reduce inflammation and joint swelling associated with arthritis. Helps to support heart and cardiovascular health. Helps to assist in the maintenance of normal eye and brain function. Helps to decrease triglycerides (fat) in the blood of healthy people. Fish oil is a source of the omega-3 essential fatty acids. Essential fatty acids are incorporated into every cell membrane in the body, in the form of compounds called phospholipids. Cell membranes play the vital role of regulating what goes into, and what comes out of each cell. The integrity and fluidity of the cell membrane is determined by the type of phospholipid that is available for the body to use. Cell membranes made up mainly of phospholipids derived from the essential polyunsaturated fatty acids are more fluid and function better than cell membranes made up of saturated fat or trans fatty acids. A cell membrane working at optimal levels retains vital nutrients and electrolytes, has the ability to communicate with other cells and is responsive to hormones. 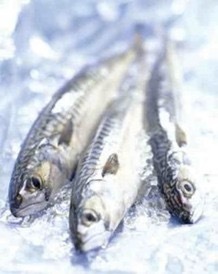 Omega-3 fatty acids are also important components of substances known as prostaglandins and leukotrienes. Prostaglandins and leukotrienes are important in immune function, smooth muscle function, platelet aggregation and inflammation. Fish oils have an anti-inflammatory action because prostaglandins and leukotrienes from omega-3 fatty acids have less inflammatory activity than prostaglandins and leukotrienes derived from other types of fatty acids. 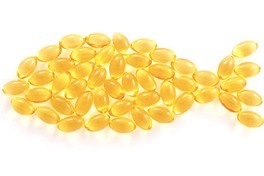 Fish oils appear to alleviate the pain of rheumatoid arthritis due to the role of omega-3 fatty acids in suppression of the production of inflammatory compounds. Fish oil inhibits triglyceride synthesis in the liver and so helps to lower fats (triglycerides) in blood, therefore supporting a healthy cardiovascular system.